Located in Calabash, NC near the Atlantic Coast, Crow Creek Golf Community offers the best of a coastal lifestyle and southern hospitality. With its unmatched amenities it is quiet, serene, and minutes from some of the best dining, shopping, and entertainment the Southeast has to offer. The area has attracted all the major retailers, modern medical facilities, hotels, inns, schools, churches, and dozens of championship golf courses…one of which (our own) Crow Creek Golf Club is among the top courses in North Carolina. 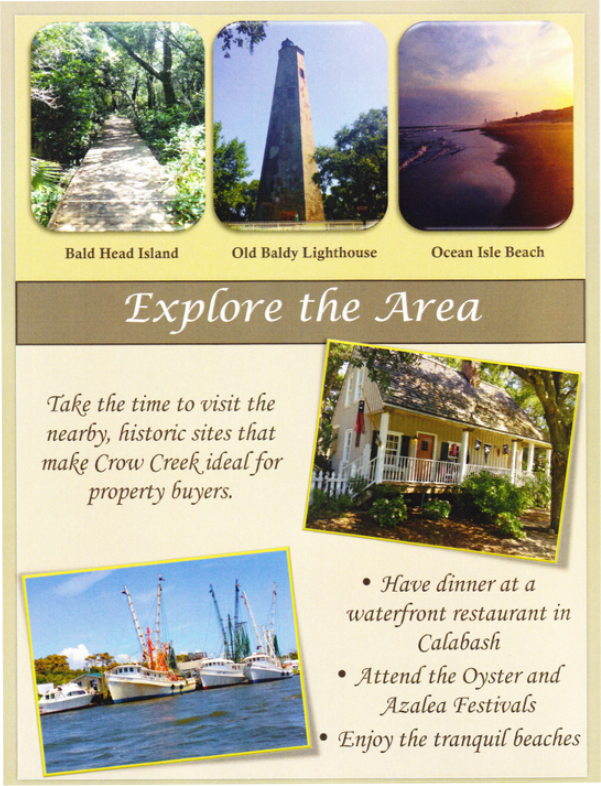 Holden Beach, Ocean Isle Beach, and Sunset Beach only a few minutes from our community. 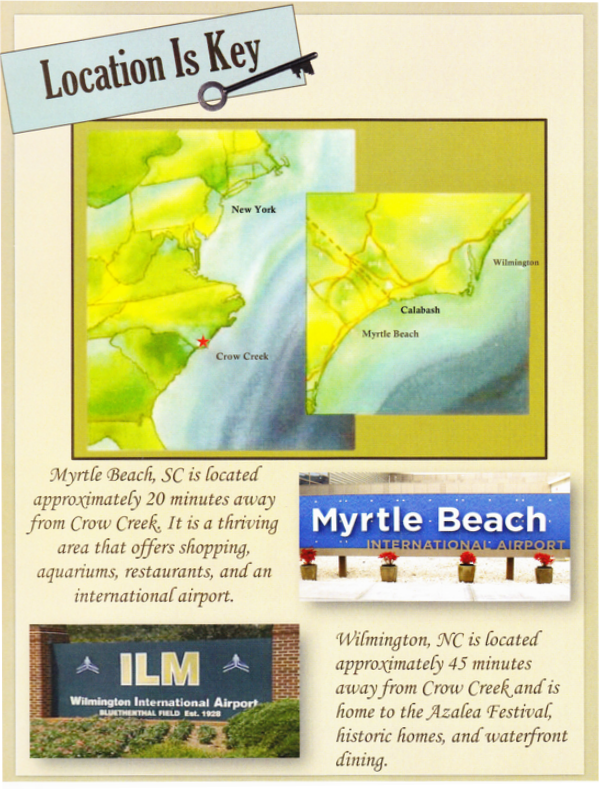 Crow Creek is perfectly centered between the excitement of Myrtle Beach, SC and the historical port city of Wilmington, NC. Visitors and locals enjoy abundant choices of art galleries, museums, dining, shopping, attractions, universities, colleges, and theaters. Travel to and from the area is made easy with airports and highways connecting north, south, east, and west. Enjoy the privacy and amenities of a master-planned community by choosing Crow Creek Golf Community for your permanent or seasonal residence.